The Frontline Club will host an event on the abuse of the Interpol Red Notice system by Russia and other countries to intimidate and repatriate dissidents and people facing state-backed extortion, and how some EU states are assisting those countries. 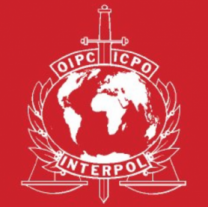 An experienced advocate, Eeva Heikkila has challenged a number of politically motivated Red Notices and continues to advocate radical reform of INTERPOL. Not only is the rampant abuse wasteful of the organisation’s scarce resources, it puts lives at imminent danger. The event will be at the Frontline Club – 13 Norfolk Place, London W2 1QJ – from 6pm on Friday 26 September. All interested members of the press are welcome to attend, as well as all others interested in the subject: lawyers, lawmakers, embassy/consular representatives, academics, researchers, etc. The presentation will include a video link to Nikolay Koblyakov, a French citizen and social activist currently detained in Bulgaria and facing extradition to Russia as a result of a Red Notice.